Dennis Wheatley (1897 – 1977) was one of the most prolific, widely-read, and successful authors of the twentieth century. Throughout his colourful career, Wheatley penned over 50 novels, a multitude of short stories, and produced a variety of non-fiction texts. His association with the British military is well documented, and he contributed to the war effort during the 1940s. Indeed, his involvement with the War Office, and the planning of the Allied invasion of northern France, would provided the basis for much of his future fictional work. Wheatley’s character: Gregory Sallust (the protagonist of several of his best-selling thriller novels) is now regarded as a fore-runner to Ian Flemming’s James Bond. Both authors came from a similar background and naturally shared both the dominant values and world-view of their generation. These are evidently reflected within their works of fiction. 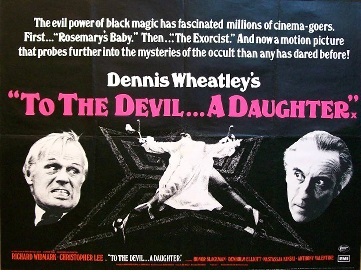 However, despite only producing several novels of an Occult orientation, Dennis Wheatley has become synonymous with the supernatural and Black Magic. Why has a man who sold over 50 million books in his lifetime gained such a mysterious reputation? It could be said that Wheatley’s association with matters of a preternatural nature began during his time at prep-school in the early 1900s when he was convinced that he had seen a ghost. As he states in one of his works of non-fiction ‘The Devil and All His Works’ (Hutchinson 1971): ‘It has long been maintained by many thinkers of many nations that Homo Sapiens is endowed with a sixth sense.’ Clearly Wheatley appreciated that such matters resonate strongly within the collective consciousness of mankind, and in the 1930s he had the opportunity to draw upon this fascination to cement his reputation as a highly engaging and readable author. ‘The Devil Rides Out’ was published in 1934 and became an instant success. Wheatley’s inter-war readership were evidently mesmerised by the exotic themes of black magic, ritual, sacrifice and secret malevolent societies. Indeed, he always researched the background of every novel meticulously prior to producing a first draft. Notable occultists of this era such as Aleister Crowley, Rollo Ahmed and Montague Summers were all consulted by Wheatley on matters of the ‘Old Wisdom’. 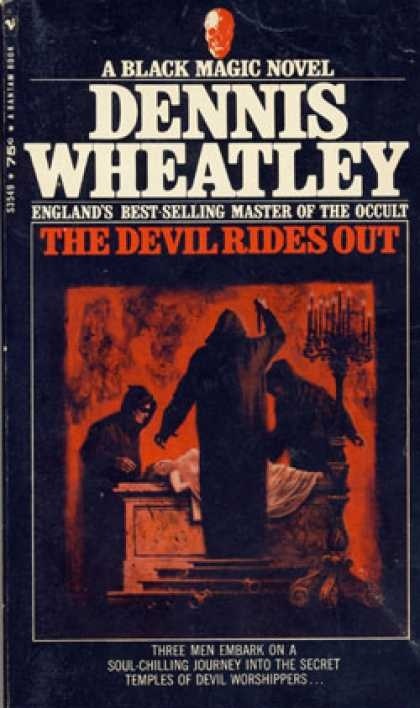 Wheatley’s detailed descriptions of occult ceremony, practice and philosophy within his novels have lead many to speculate whether or not he was a practitioner of the ancient arts himself. 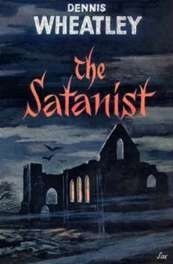 Although he denied ever having been involved with a secret society during his life-time, it is patently obvious that he possessed a profound understanding, appreciation and respect for the Occult. For example, ‘Strange Conflict’ (published in 1941) describes the curious ability of adepts to wage combat upon the astral plane against the backdrop of the Second World War. Sceptics would of course scoff at Wheatley’s suggestions, but it must be borne in mind that many of the leading Nazis were deeply influenced by the dark arts. The so-called ‘Magical Battle of Britain’ has been discussed in Dion Fortune’s fascinating work of the same name. It should also be remembered that governments old and new (from King Saul’s dealings with the Witch of Endor in the Book of Samuel, to Queen Elizabeth’s reliance on the magick of John Dee, and Margaret Thatcher’s government’s consultation with astrologers prior to the Falklands Conflict) have called upon the powers of the unseen during times of national crisis. A fitting testimony to the enduring appeal of Dennis Wheatley’s work is his perennially increasing cult following. His novels remain very popular, and the Hammer Horror productions of his Occult stories are much revered by Horror fanatics. Wheatley’s geo-political stance and seemingly unswerving loyalty to Queen and country may be antiquated and somewhat ridiculous to some, but there is much within his works of great value to contemporary readers and those who approach them with an open mind. To find out more about the author David Fox, visit his website: David Fox Magician. Our Mysterious Satellite… Who Built The Moon? It could be said that in the midst of the maelstrom of twenty-first century daily life, we can ill afford the time to contemplate our place within the grand cosmic scheme. The very pace of human existence throughout the developed world seems to have accelerated ten-fold since the internet explosion and the advent of the now ubiquitous mobile phone. Technology has dramatically compressed both space and time, and profoundly revolutionised the way we communicate, co-exist and consume. Indeed, the most imaginative of the great science fiction writers of the twentieth century would surely be amazed by the seemingly incessant march of technological progression and its incredible influence upon the human race. However, despite our great achievements within the realms of science, engineering and telecommunications, the human race will always remain ensconced within the seemingly eternal cycles of nature herself. Our very physical bodies will forever be entwined within the natural rhythms of Mother Earth despite the fact that over one half of the world’s population now dwell in urban areas. Indeed, one massive natural influence upon everything on this planet so often goes seemingly unnoticed or unaccounted by many. 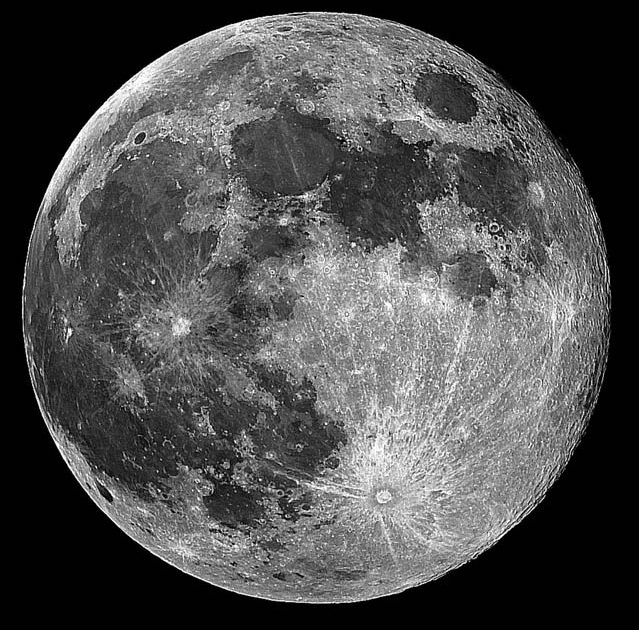 Our solitary satellite; the Moon, continues to effect the tides, the growth of crops, animal behaviour, birth rate, crime incidence, health conditions and infinitely more factors than we can comprehend. Even prior to the dawn of human existence, the presence of this mysterious sphere has played a major role in the development of the world as we know it. Christopher Knight and Alan Butler’s text entitled ‘Who Built The Moon?’ raises some fascinating questions and both authors have conducted a considerable amount of research in order to arrive at some controversial yet highly stimulating theories. Knight and Butler’s contribution to our understanding of past civilisations and alternative historical discourse in recent years has been exceptional. Indeed, since reading ‘The Hiram Key’ (co-written by Christopher Knight and Robert Lomas, published in 1996) I have been very fortunate to have had the opportunity to read the consistently illuminating and meticulously researched works of all three authors. Knight and Butler’s bold theory is based on the fact that without the Moon, life on Earth would most certainly have not developed into its current state. For example, they appreciate that the phenomena of plate tectonics is unique to our planet in the solar system, and the gravitational influence of our satellite has been instrumental in creating an opportunity for a diversity of species to flourish upon planet earth. Indeed, it may very well have been the gravitational forces of the moon which were responsible for permitting the first DNA molecules to develop billions of years ago in the deepest darkest depths of the pre-historic oceans. Was the Moon ‘created’ by a higher intelligence? It seems to fit too perfectly into the complex incubator which sustains life on Earth. In essence, Knight and Butler fuel the debate that the development of our Earth, and the subsequent appearance of modern human beings some 43,000 years ago, may have been instigated and overseen by a higher extra-terrestrial intelligence. This notion was once scoffed at by the scientific establishment, but it is becoming more and more apparent that there are is an ever-growing plethora of questions concerning the development of our planet and species which remain unanswered. The sudden appearance of cro-magnon man around 40,000 BC and his subsequent meteoric development into the dominant species on the face of this planet is arguably the greatest puzzle of all time. Like all of their works, Knight and Butler write in a highly engaging style which can be readily appreciated. They achieve a fine balance between science, history, theory, astronomy and anthropology in order to present a highly thought-provoking and vital study of this area. 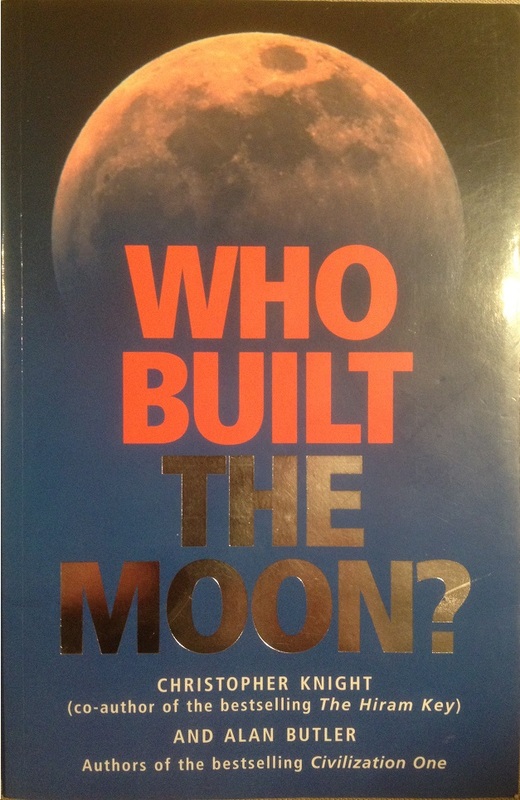 Who built the moon? Did a higher intelligence visit our solar system billions of years ago? And has this advanced being continued to visit the Earth at decisive intervals throughout the course of time? The ideas and theories espoused within this text most certainly compliment those of Erich Von Daniken, Alan Landsburg and other free-thinkers who are not predisposed to the wholesale acceptance of the views of the academic establishment.